If you’ve already ticked these off your list we’d love to hear from you with your alternative top 5! A ‘hammam’ is essentially a bath house, it involves a bathing ritual in a heated room which is deeply relaxing and satisfying! The body is cleansed with black soap, rinsed, scrubbed with an exfoliating mitt, rinsed, a clay mask sometimes applied before a final rinse, and then a hydrating oil massaged in. 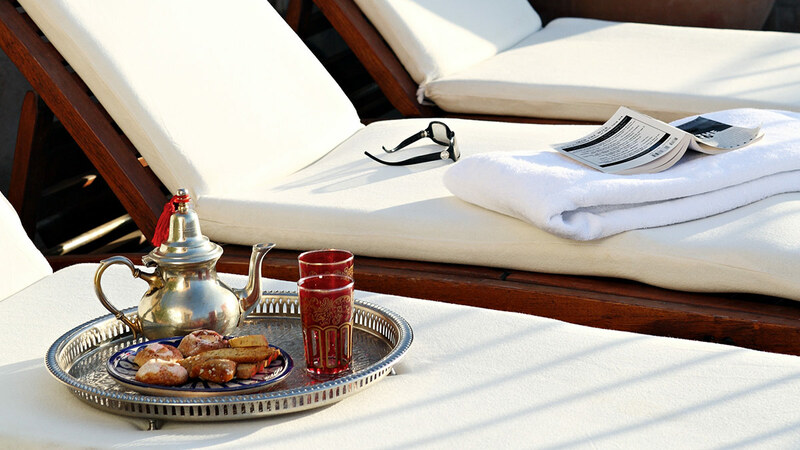 You will leave the hammam feeling rejuvenated and wholesome. Public hammams are still of course common (you’ll need to take your own kit, including bucket/mitt/soap/towel) but most visitors will book a private treatment at a spa or hotel (take swimwear, or a change of underwear). 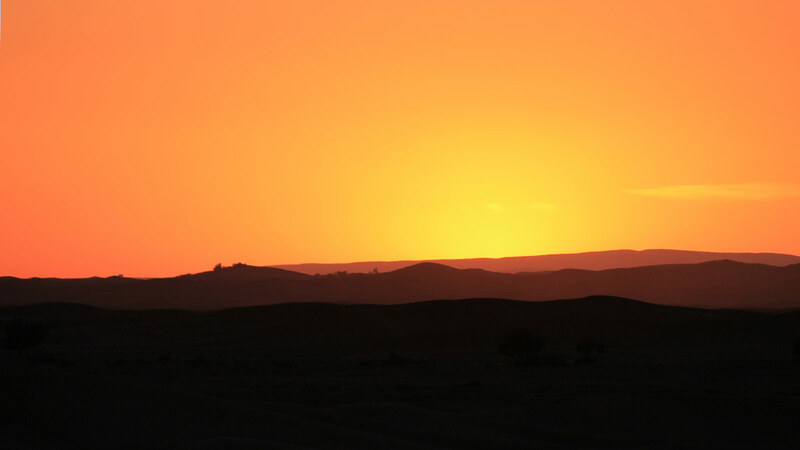 The Sahara is a considerable distance from Marrakech and Fes. 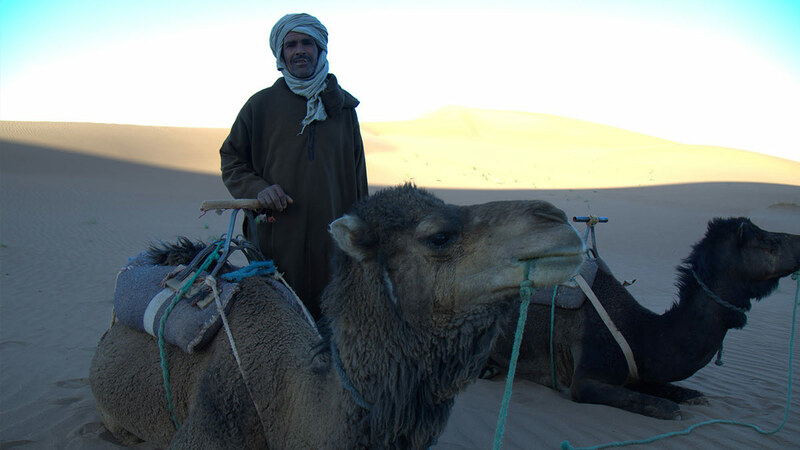 We will always recommend you travel to the Iriqui National Park as this region of the desert is truly off the beaten path. 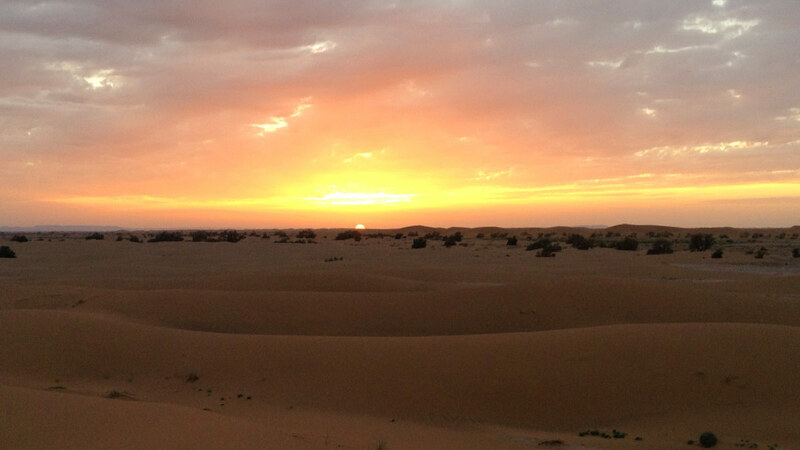 This makes the sunset and sunrise there all the more special – knowing you travelled hours to get there (whether by foot, camel or jeep) and knowing that you really won’t be meeting many other people at the dunes. 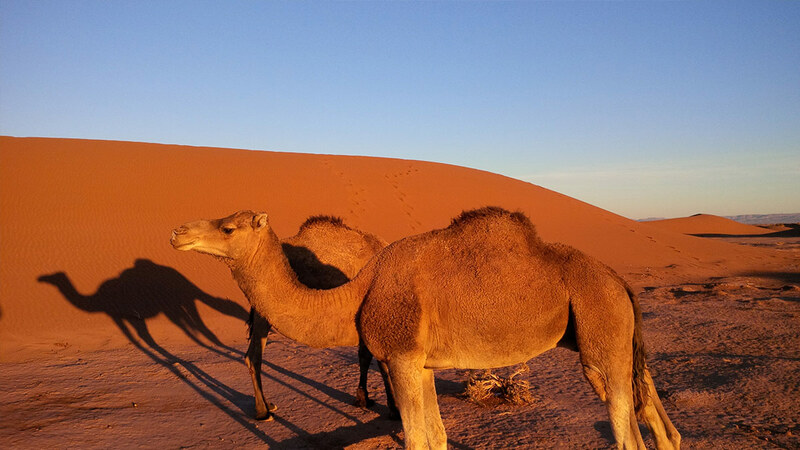 During a trek to the remote Erg Zahar or to the Erg Chigaga great dunes you quickly establish a routine with the sunset and sunrise. Waking each morning at first light is a joy as opposed to a struggle to stay inside the tent! 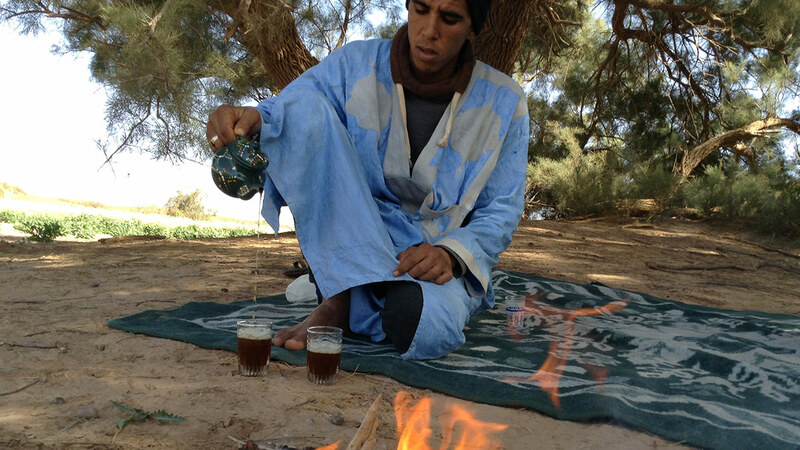 We often talk elsewhere in our blogs about tea being an integral part of daily life in Morocco. 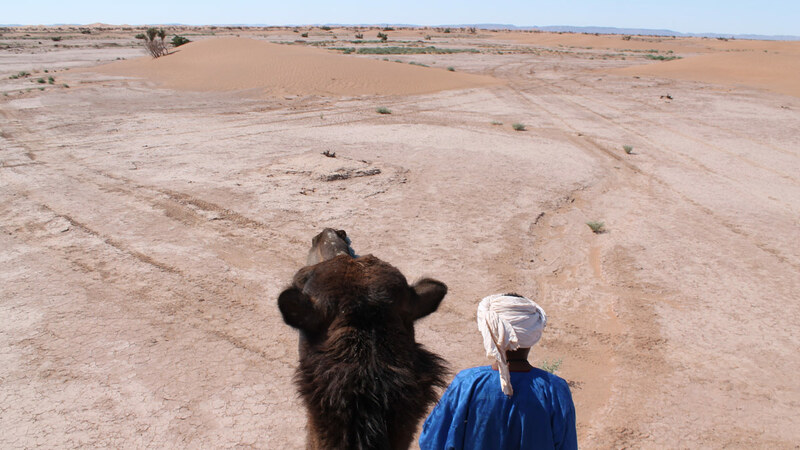 Morocco is a nation of tea-drinkers (apparently it was the English who introduced tea here in the 19th Century!) and the preparation and serving of tea is not to be taken lightly. You can’t just “put the kettle on”, you need to savour the process and take time over it. 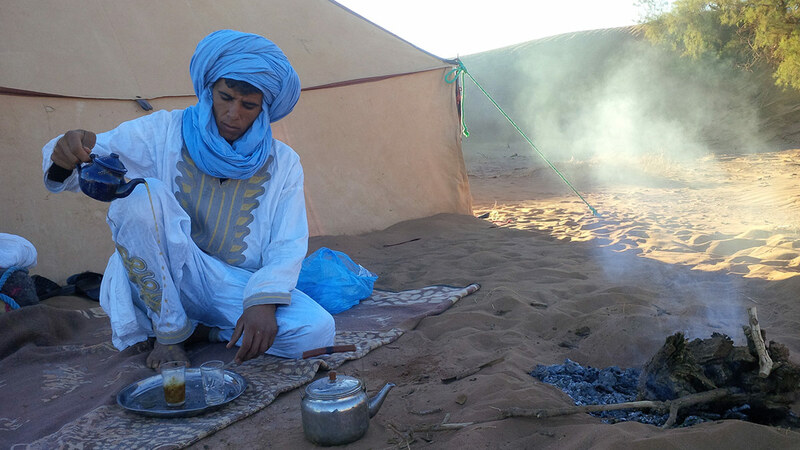 The best way to appreciate tea in Morocco is when it’s prepared over a charcoal brazier or the embers of a campfire. This allows a longer brewing time and also a focal point for the room, or group. It also serves as a useful opportunity to catch up on the latest news while the tea is brewing. 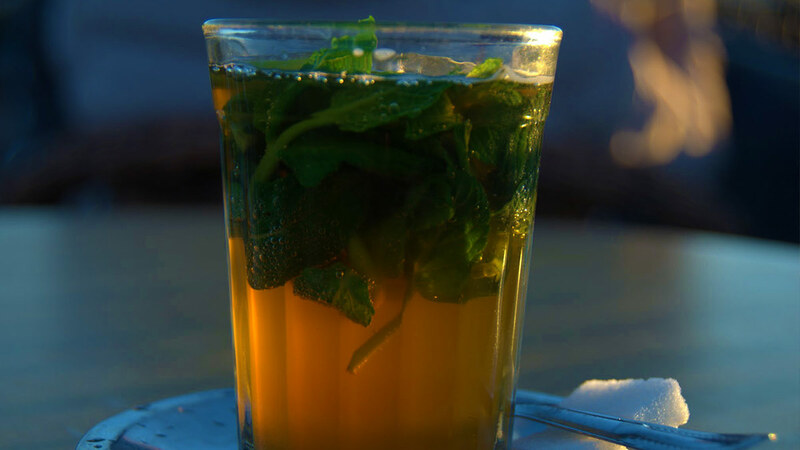 Moroccans use Chinese gunpowder green tea leaves and either fresh herbs, spices or mint leaves are added. The vital part of the tea-serving process is the pouring technique – this allows the tea to aerate (forming the froth and cooling the liquid) and the sugar / flavour to dissolve. Read more on our Tea blog. 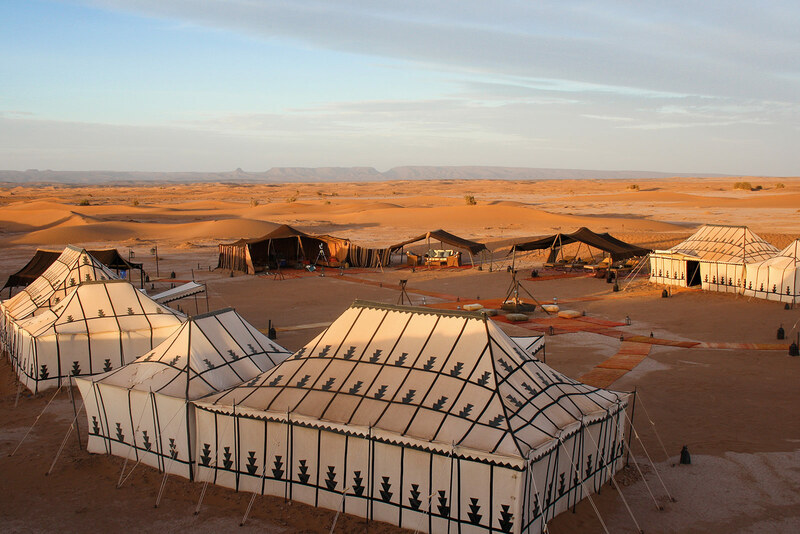 Yes, we do mean in the Sahara, or even on a long stretch of empty beach (not next to a busy main road!). 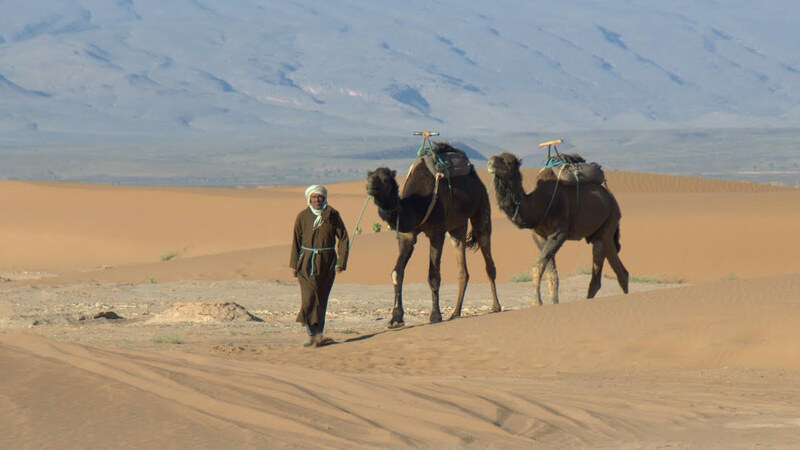 Camels are expensive animals, they are generally very well looked after and well trained – at least all of the wonderful camels that we know and work with in the desert – as they bring income to their owners during many years (at least 10 years + for a working animal). Sadly there will be those who don’t respect and care for their animals, which is perhaps why the poor camel gets a bad reputation for being grumpy! Can you blame them! Fes is purportedly the largest urban car-free zone in the world but you don’t need to choose the largest medina to get lost! 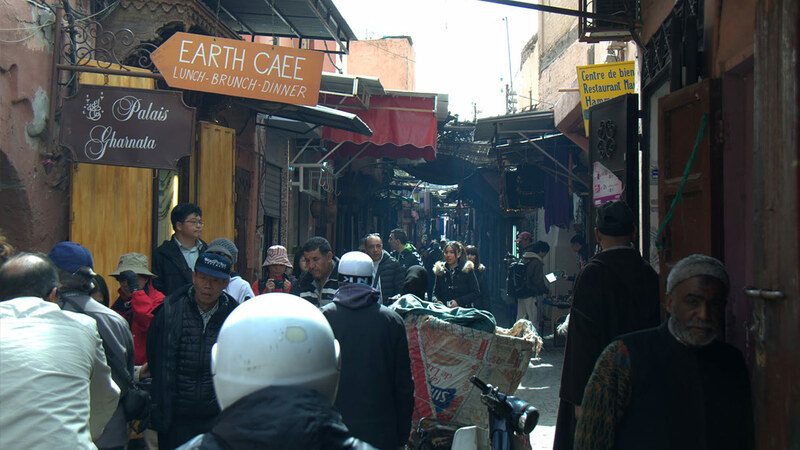 The appeal of Fes is that it’s less geared to tourism as, perhaps, Marrakech is and therefore has a different atmosphere entirely. 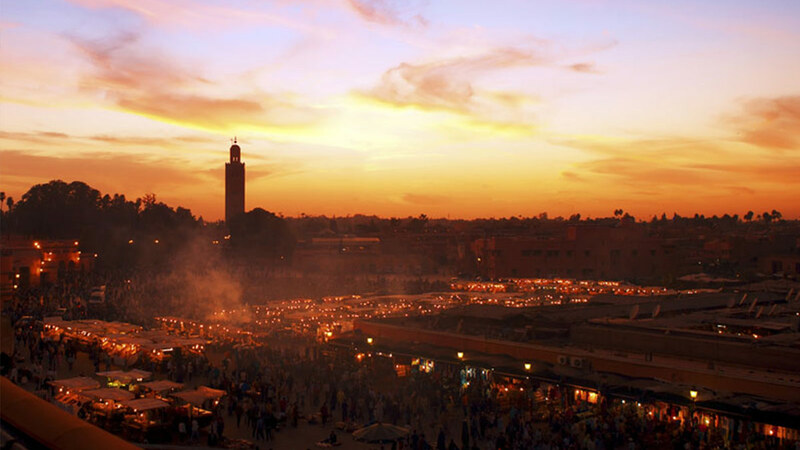 However, a friend visited Marrakech recently and she described its medina as ‘biblical’. 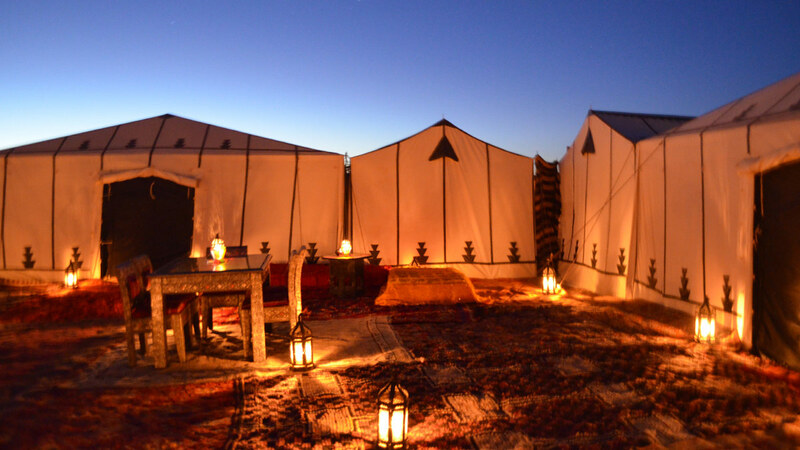 Yes, you will feel like you’re stepping back in time in any of the medinas of Morocco. 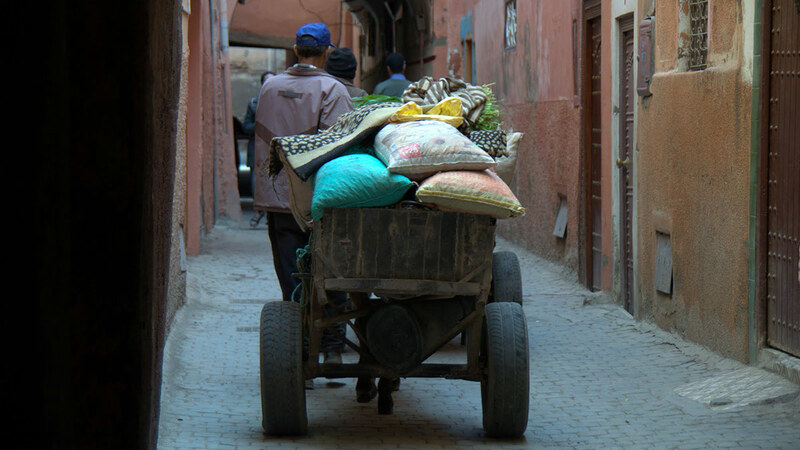 You may find yourself dodging the odd mule & cart or wandering through some of the artisan quarters where handicrafts are still a thriving industry (metalwork, weaving, leatherwork, woodwork, etc), or catch a glimpse of a bread oven which is in fact the heating system for the neighbourhood hammam. Our tip anywhere you may be – get up on to a rooftop for the views around you, or simply to get your bearings. Of course, use your judgement as you would in any large city you are not familiar with, and don’t wander aimlessly late at night in unlit alleys. Your riad should give you a map before you go out, take their phone number with you and note your nearest taxi drop-off point.